Gramercy is pleased to announce that our immensely popular Footy Tipping competition is kicking off again soon and that we’ve had a great deal of interest from our footy loving customers.  So, how does Footy Tipping at Gramercy work? It’s simple really, but it’s important that you know exactly how the competition is run as there’s a $50 entrance fee to compete and what should be quite an impressive kitty up for grabs, not to mention great vibes and seasonal food and drinks specials! The Footy Tipping season is a round-based competition with the total number of correct points accumulated each round and spot prizes given every five rounds. Prizes are given to the top three players, with 1st Place taking 50%, 2nd Place 30% and 3rd Place 20% of the kitty, so the more people playing, the bigger the prizes up for grabs. Every game you win gives you more points, so the more games you get right the better your chance of winning 1st, 2nd or 3rd prize. However, it’s not only picking the correct winning team that gets you points, but also the margin. That means you need to pick the right team and the right margin to win an extra two points and these extra points do make a significant difference to your chances of winning. Registering for Footy Tipping at Gramercy is a lot easier than picking the right team and the right margin! 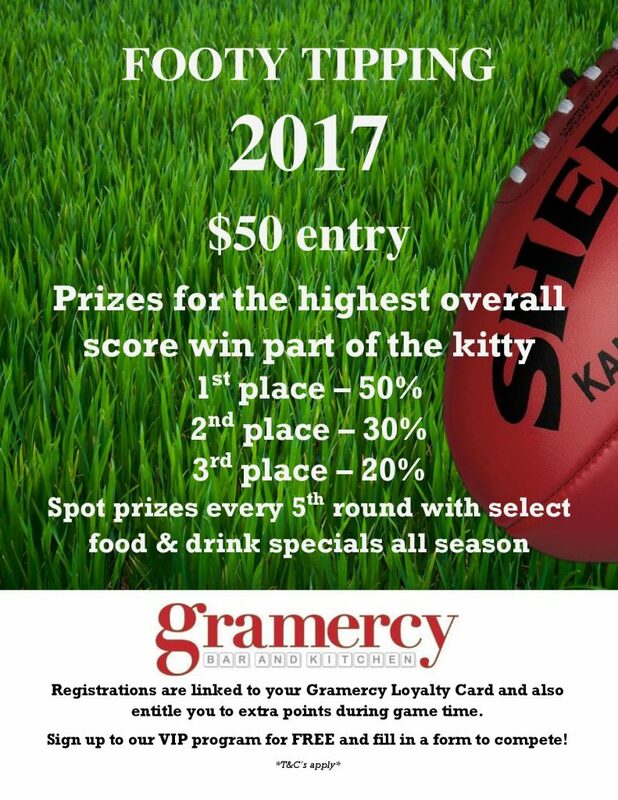 Footy Tipping registrations are linked to your Gramercy Loyalty Card (this card entitles you to extra points during game time), so if you don’t yet have a card, you’ll need to sign up for our free VIP program to compete in this exciting competition that’s looking like it will offer the winners a share of our biggest kitty yet! Our popular VIP Program is designed to reward our customers for their patronage at Gramercy Bar and Kitchen. So, how does the program work and what do you get in return for signing up? VIP members save 10% of whatever they order (all food and drinks) and swipe with their Gramercy VIP card. That means if you order a $10 pint, 10% of that ($1) gets saved onto the card and when the amount that you’ve saved reaches $50, you receive a $50 voucher which can be spent on whatever you choose at Gramercy, whether that’s something from the bar or something from the kitchen. A monthly newsletter is on the way which will highlight our latest member specials and priority attendance at a wide range of exciting special events held throughout the year. However, if you have any questions about Footy Tipping 2017, how to register or sign up for our VIP Program, please don’t hesitate to contact the team at Gramercy. You can send us a message, give us a call on 08 9481 1020 or speak to one of our staff members in person at the best bar in the Perth CBD.